We are REALLY excited about our latest offering, the 2016s. We cannot thank you enough for your continued support, and we are excited to announce that we have just been awarded a 98 point rating on our newest release! We are very blessed to have such a good run of high-quality vintages, and Thomas Brown and his crew knocked the ball out of the park once again in 2016. Each year has its own attributes, but 2016 is memorable because nothing memorable happened! Weather at flowering was mild. The growing season continued throughout the summer with moderate weather and no major heat spikes. Harvest was done at a leisurely pace and the fruit quality across the board was outstanding. We especially like the balance of the 2016s, as they seem to have the upfront fruit of 2015 but the latent power and structure of the 2013s. These should cellar beautifully for many years. As always, we want to thank our winemaker Thomas Brown and his team for their talent, and incredible attention to detail, as we could not do this without them. Based on our significant growth, we will have to honor all allocations on a first come first serve basis, so please adhere to the 8-day order window! 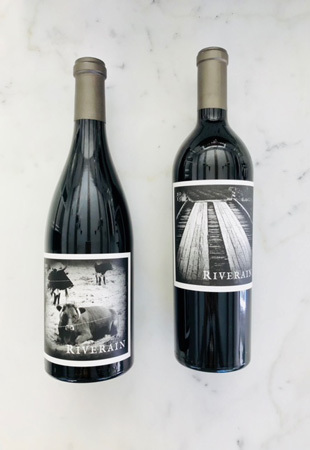 We also included some very nice notes from Jeb Dunnuck, who recently reviewed our 2016 Cabernet (98 points), our 2015 Cabernet (97 points), and our 2015 Syrah (95 points).